I am lucky enough to have a craft room. I converted my dining room, not long after we moved, into a space that I could call my own. Having a dedicated craft room is amazing, I have space to work and create but I also have a lot of storage space. This space, which is lovely, can easily hide years worth of craft supplies. A dedicated craft room essentially allows me to be a craft hoarder, and I’m kind of ok with that. 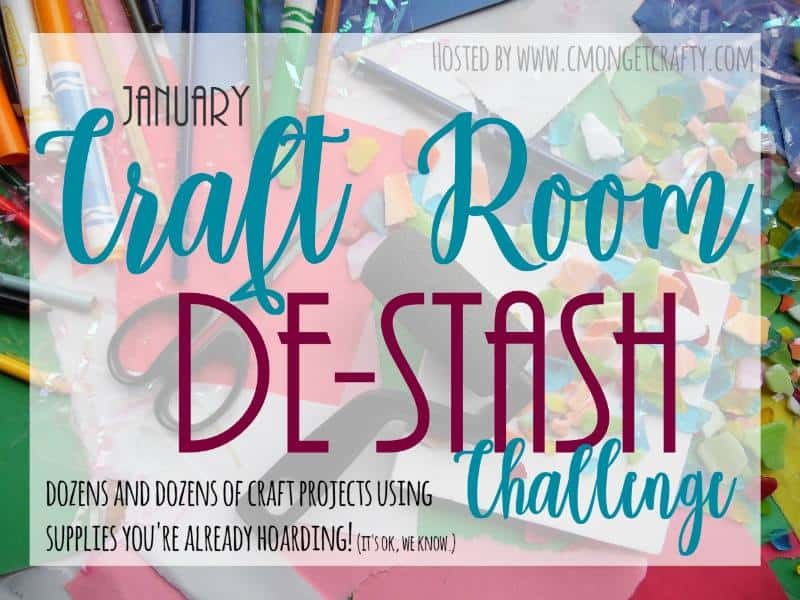 Today I am joining a challenge to create a porject using all those hoarded craft supplies. Just the motivation I need to sort through some items and make something beautiful. I came up with this craft stick sunburst from supplies in the first bin I tackeled. This means I need to tackel the next storage bin soon to create anothe project. I love how this turned out and it didn’t cost a dime! 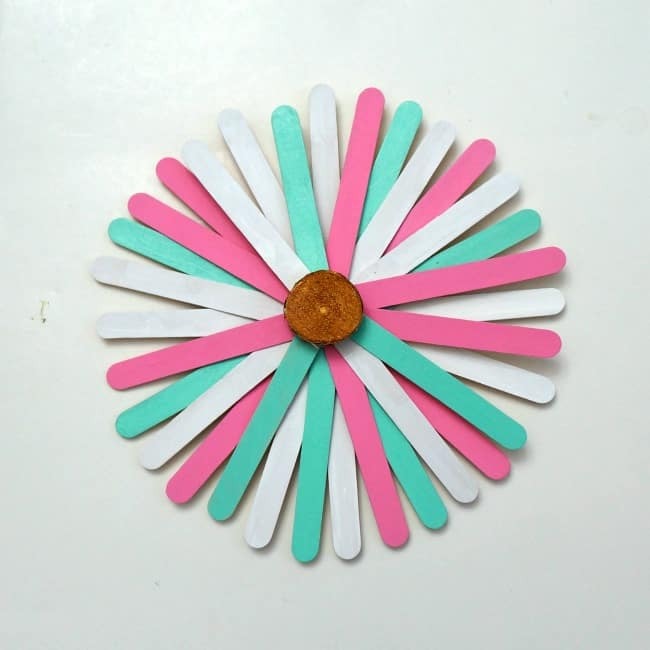 This craft stick sunburst was so easy to make, take a look at how I created it then use your favorite colors to create your own. I started with a collection of wide craft sticks and a hard plastic plate as my inspiration. I grabbed a few of my favorite paint colors and began by painting the craft sticks. I also used a small wood slice and painted it gold. When everything was dry I randomly glued the craft sticks to the plate to create a beautiful sunburst. I added the gold wood slice to the center to finish it off. 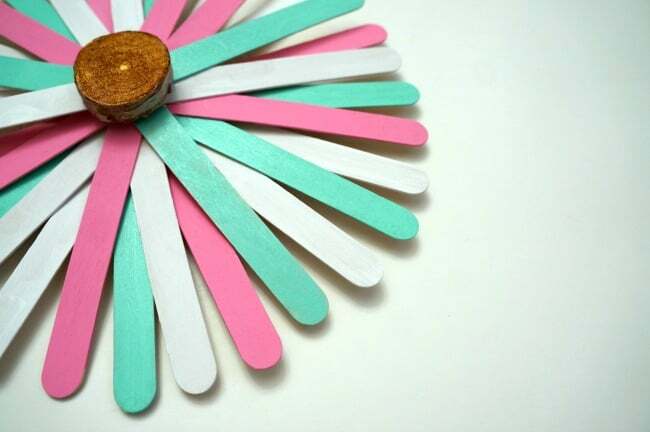 This bright and cheery craft stick sunburst would be a nice compliment to a Sring mantle or a gallery wall. However, my daughter has claimed it for her room so I’ll have to make another one. Feeling inspired? 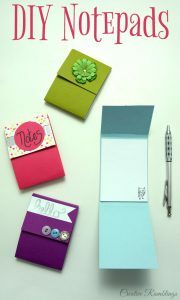 Check out these other fabulous Craft Destash projects then head to your craft storage and create something beautiful. Show me what you’ve created using your hoarded craft supplies. Drop a link in the comments or share something with me on Facebook, Twitter or Instagram. I love how easy and pretty it is! Those colors are great together. What a great craft for the kids. Will be neat during snow days! How adorable. We have extra craft sticks too. This is such a cute project. Love the sunburst!! So cute! 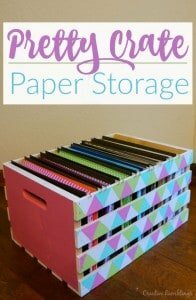 I could definitely see this being a craft little ones would enjoy doing! Thanks for sharing, pinning now. This is so pretty and colorful. I don’t blame your daughter for taking it over. Very nice. 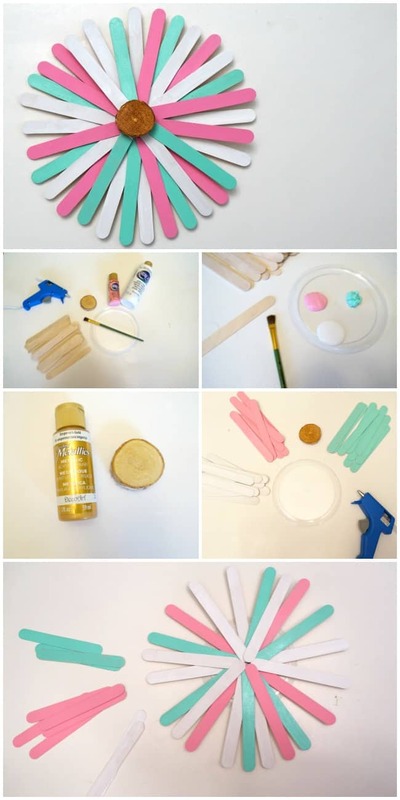 Great kids craft. Love the colors. This is so cute and could be perfect as drop for a photo booth or party décor. Fun! My son recently discovered the glue gun and popsicle sticks, he’d like this! Very cute idea. I love the colors you chose. This looks like something my daughter would have loved when she was little! I love the colors you used! I have my own craft room too, and I love it. It’s not very big, but it’s nice to have a dedicated place to work. Such a cute craft, and way to destash!! I love the colors you picked, and the sunburst is a great design!